Is Fish Oil really effective? 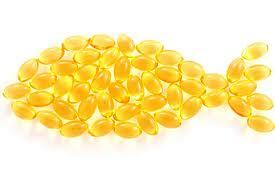 Recent studies indicated that fish oil does not prevent heart attacks so why take it? The study was done on people who already had a heart attack and the dose they used was very small. They also used an esterified form of fish oil that is not as stable or well absorbed. One or two fish oil capsules cannot undo years of a poor lifestyle. Fish oil has many benefits and can alleviate aches and pains, decrease inflammation, prevent clotting, elevate mood and so much more. It takes a comprehensive approach to prevent any kind of illness. You can’t expect a supplement to do everything. Take a good quality fish oil in its natural triglyceride form at doses of 2-5 grams for all of the other benefits. It has anti inflammatory properties and inflammation can cause or accelerate many chronic diseases.